There’s a new farm just outside of Sudbury, Ont., that is putting a whole new spin on shopping local in the north. There's a new farm just outside of Sudbury, Ont., that is putting a whole new spin on shopping local in the north. A farm in Estaire will be offering fresh northern Ontario shrimp. Kerry LeBreton, the owner of Good4UShrimp, says the operation will grow Pacific white shrimp from its post-larvae stage until it's ready to be sold. He says the shrimp is expected to be ready for market this summer. "Our main market will be obviously for local people," LeBreton said. "We're hoping that people will come to the farm to purchase the shrimp. And also to restaurants where their busiest times are Thursday to Saturday, for example, so they will get fresh shrimp sold head on, tail on, never frozen." The farm uses a closed recirculation technology system to grow the shrimp. LeBreton says replicating climate conditions for shrimp growth was a challenge in northern Ontario. "Our building is incredibly warm, humid. We've actually reduced the salt," he said. "Generally shrimp are grown or live in 30 to 35 per cent salt, as far as the ones we eat anyways, that come to the table. So we've actually reduced that salt content." 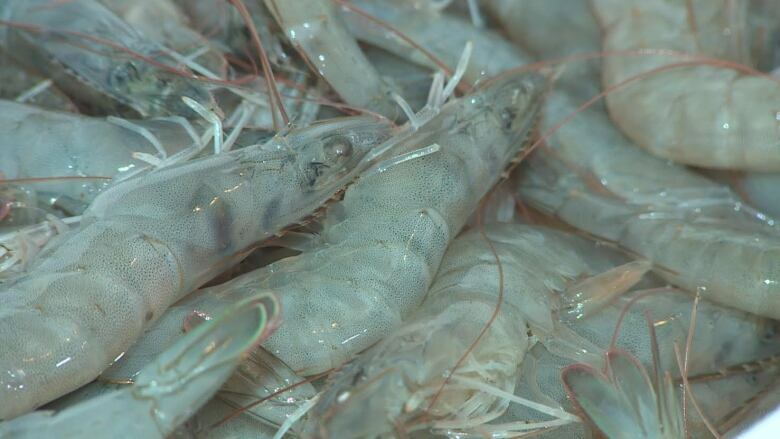 The post-larvae shrimp, about the size of an eyelash, will be brought in to the business from hatcheries in southern United States. LeBreton says they'll be put through the different stages of tanks for the growth process, until the shrimp is ready for market, in about 3-4 months time. LeBreton says it's one of just three such farms in all of Canada. "We're trying to bring high quality food, for people that are health conscious about what they eat, right to your table — fresh."